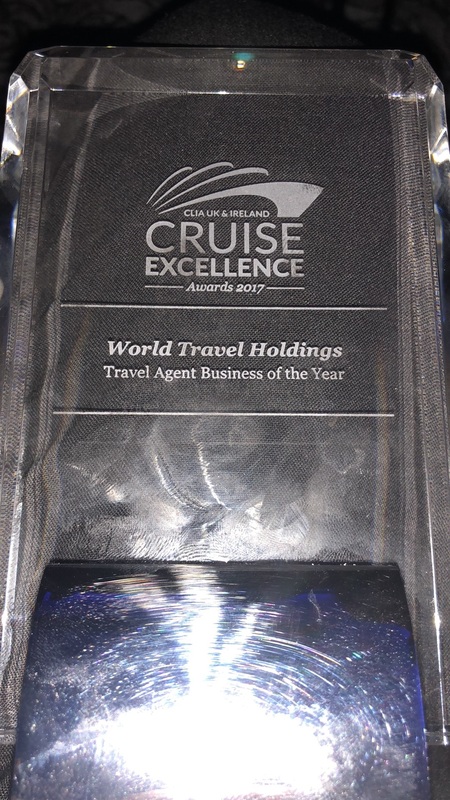 Christmas might be just around the corner, but we are celebrating for a different reason… World Travel Holdings won not one, but two awards at last night’s CLIA Cruise Excellence Awards 2017! We have also won the Travel Agent Business of the Year award! We couldn’t be happier to have scooped ‘the big one’, and it is all because of our Cruise Concierge team. We couldn’t offer this level of dedication to our customers without our Concierge. They are luxury cruise experts who will do everything they can to understand your holiday needs. Offering expert advice and guidance, and asking you all the right questions to understand which itinerary and which cruise ship is right for you, our Cruise Concierge will go above and beyond to help you find your perfect sailing. If you aren’t sure where to sail in 2018, 2019 or even 2020, we are on-hand to answer any questions and show just why we have won such prestigious awards. Don’t hesitate to call us to talk through your holiday requirements.